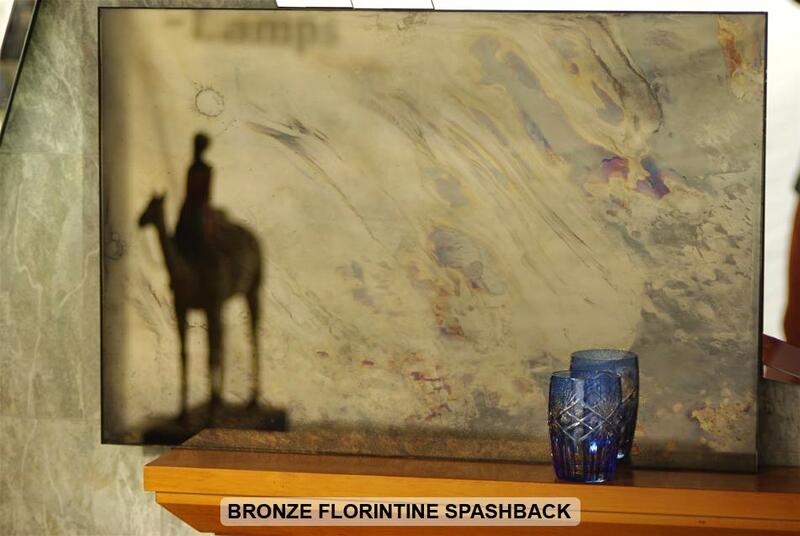 Every Florentine toughened mirror kitchen splashback is genuinely unique, no two will ever be the same. 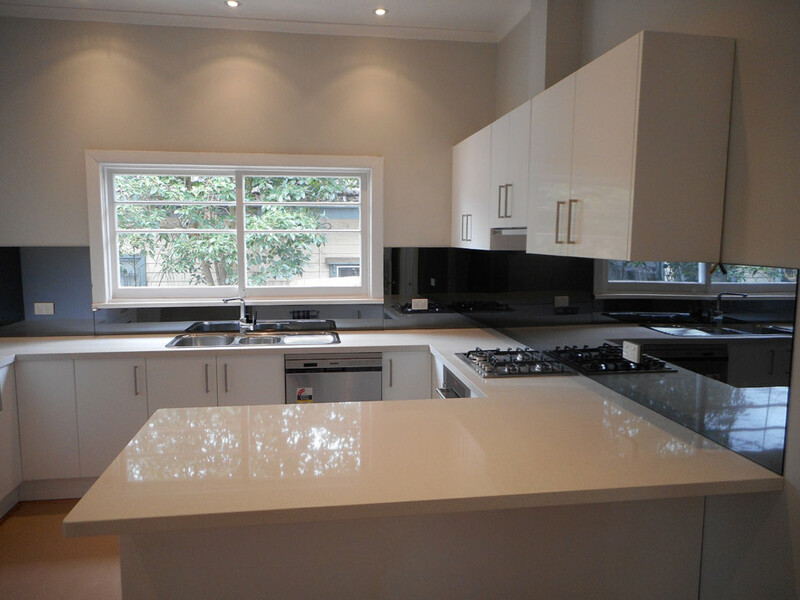 TOUGHENED MIRROR, KITCHEN SPLASHBACKS MELBOURNE SYDNEY BRISBANE ADELADE PERTH. 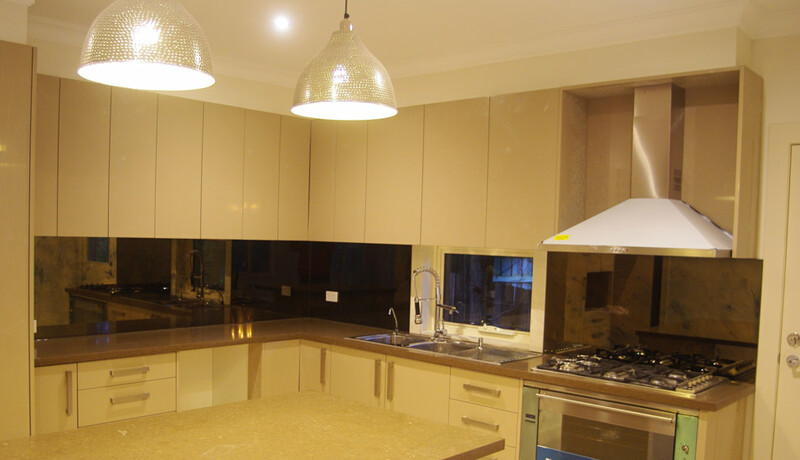 The Manhattan Mirror Co manufactures toughened mirror glass, kitchen splashbacks, delivering to Melbourne Sydney Brisbane Adelaide & Perth. 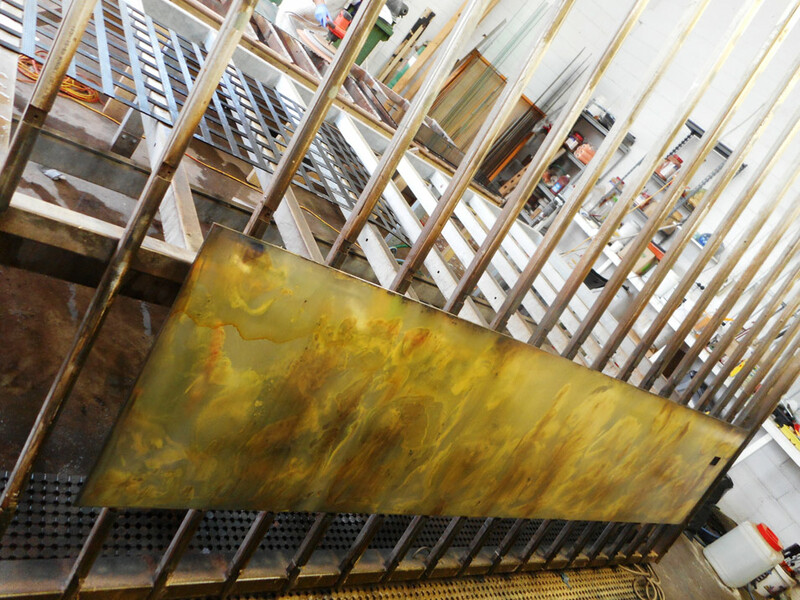 The Manhattan Mirror Co. is the only company to manufacture the famous Florentine style toughened mirror kitchen splashbacks. 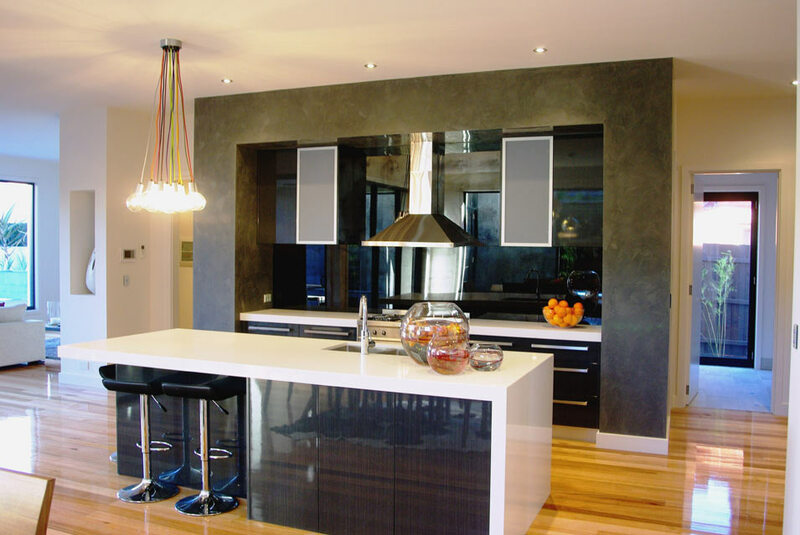 Toughened grey- bronze- black kitchen mirror splashbacks are the latest trend and is considered to be the top of the range in kitchen glass splashbacks. A 6 mm toughened Florentine distressed mirror flashback works well behind this top of the range all stainless steel barbeque. 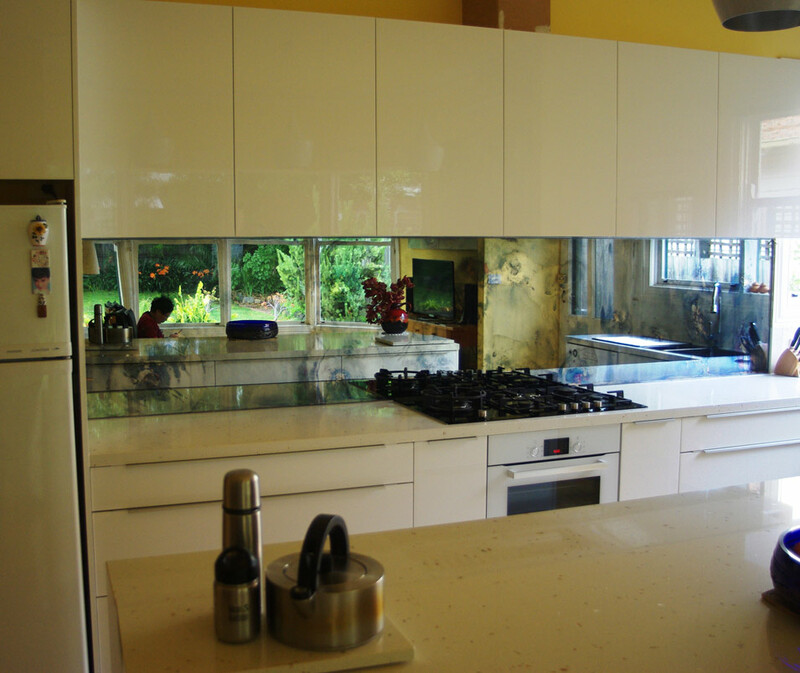 Thinking about installing a glass splashback? 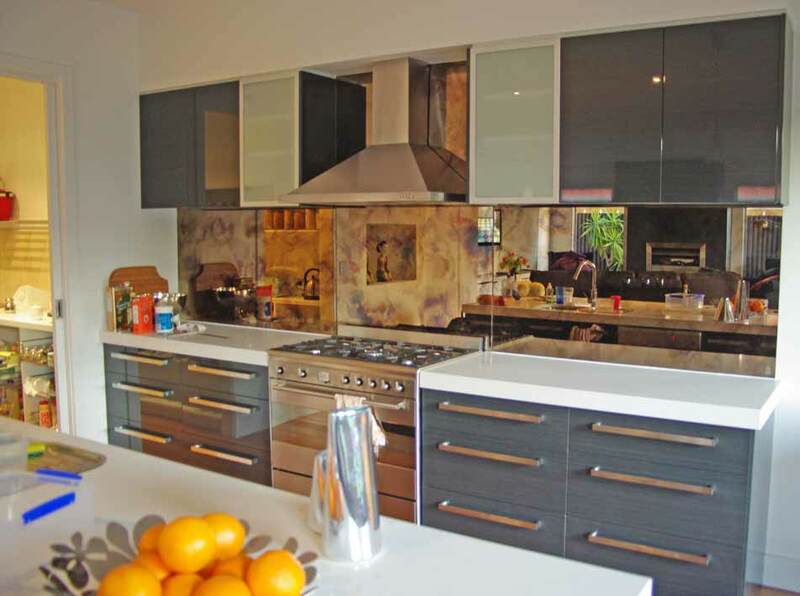 So many colours - Perhaps you should consider a hand silvered Florentine style toughened mirror kitchen splashback by the Manhattan Mirror Co.
Just think of the advantages. You won’t tire of the colour or decide later that the colour you chose was all a big mistake. 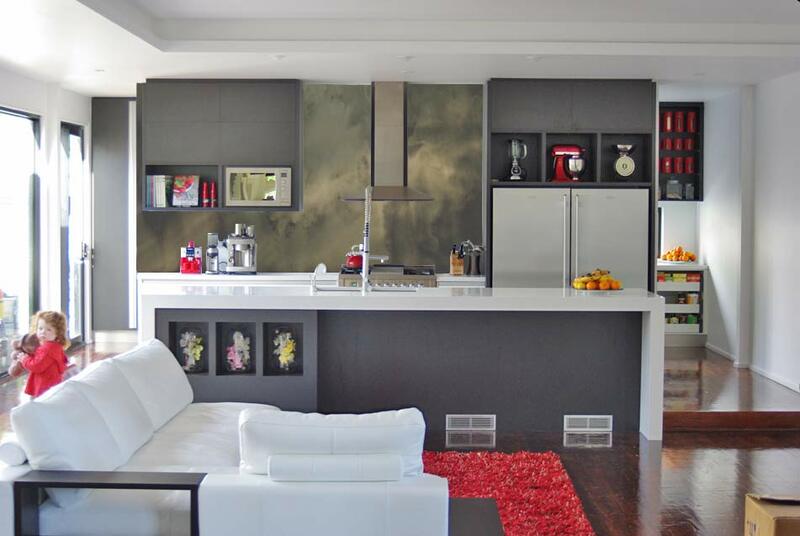 Your kitchen will instantly feel twice its size. You won’t be facing a piece of glass with paint on it for the next 15 years. How about watching neighbours, keeping an eye on the kids and having a conversation with your partner sitting in their favorite spot simultaneously? If you don’t like cleaning behind cook tops, our Florentine style distressed mirror in either the dark charcoal or dark bronze colour will take the attention away from any cooking spots. We use only Australian mined pure silver bullion and by reducing it to its silver nitrate form and combining other precious metals like gold chloride and adding cobalt blue, a wonderful array of highlights can be achieved to the generous coating of silver. 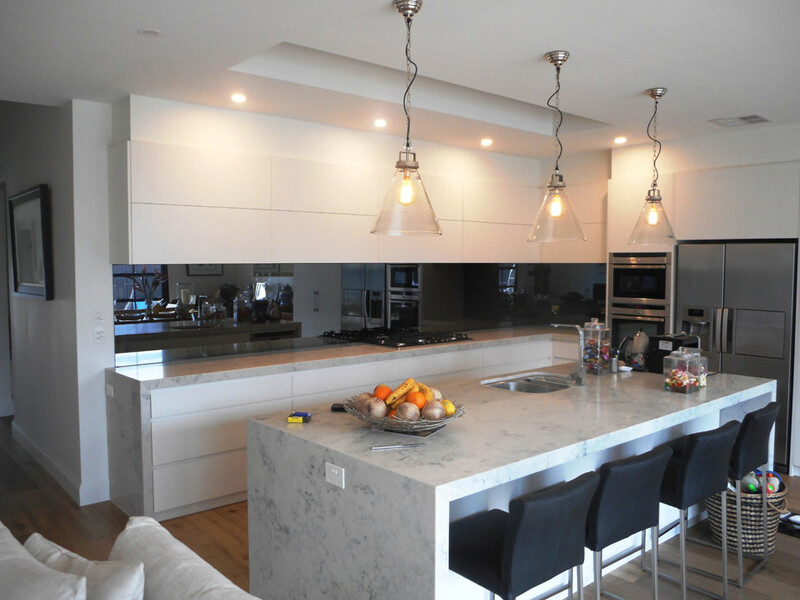 Our hand silvered toughened heat resistant splashbacks fully comply with the Australian Building Standards Code AS/NZ 2208. 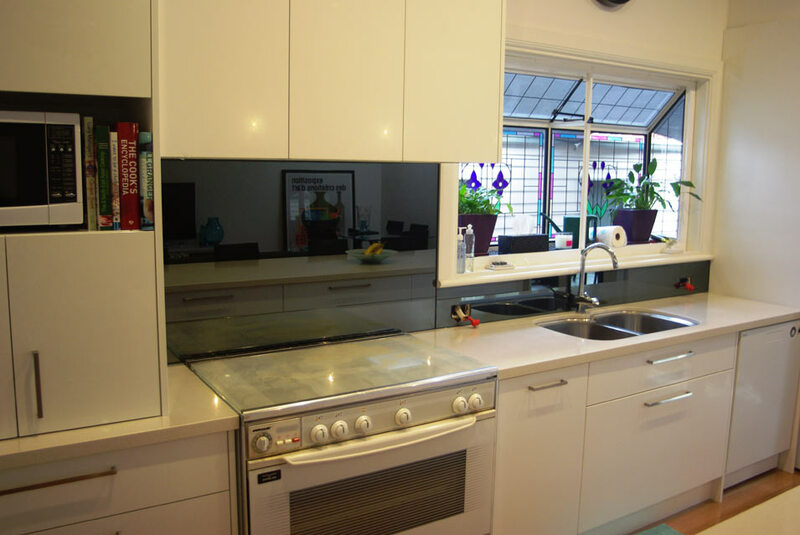 Florentine toughened mirror glass is recommended for installation behind gas or electric cook tops, an Australian safety standard stamp can be attached to the corner of the glass for the building inspector. 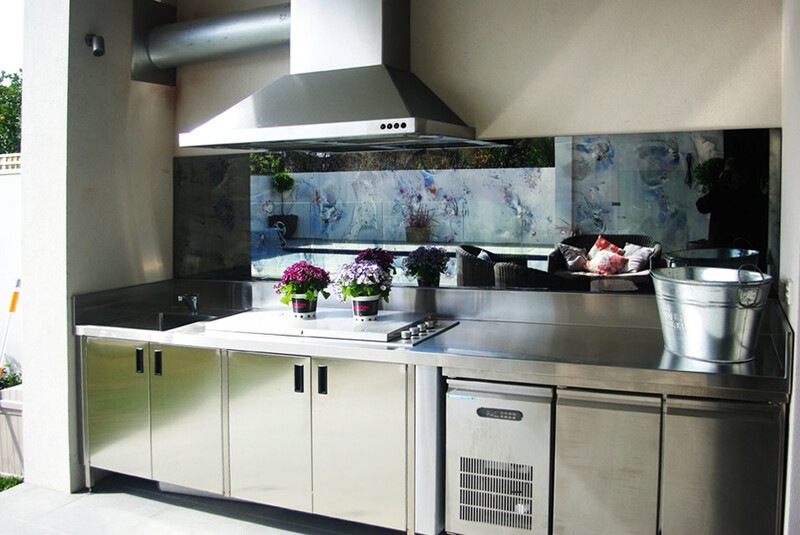 A special heavy duty coating is put on the back of all our splashbacks to protect the silver, especially the edges from oxidation and attack from moisture or common household cleaning detergents. 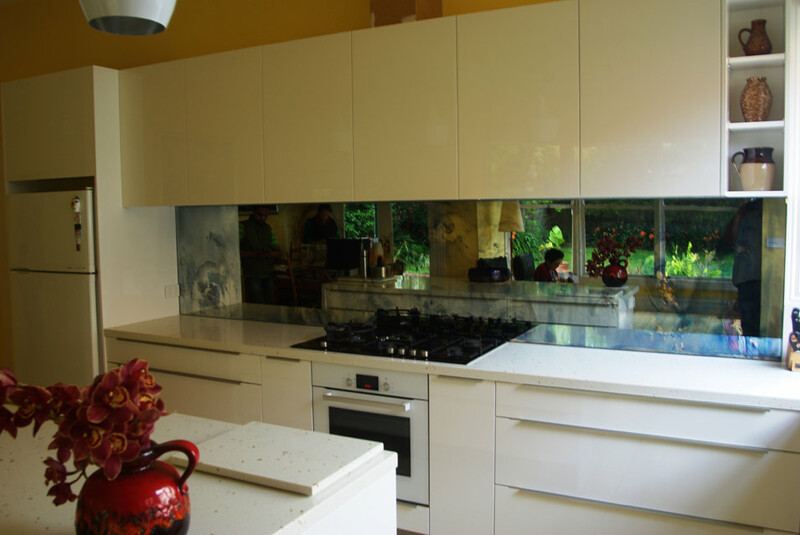 The Florentine style mirrored kitchen splashbacks take considerably longer to make, and need a lot more skillful preparation than simply spraying paint on the back as with ordinary painted splashbacks. 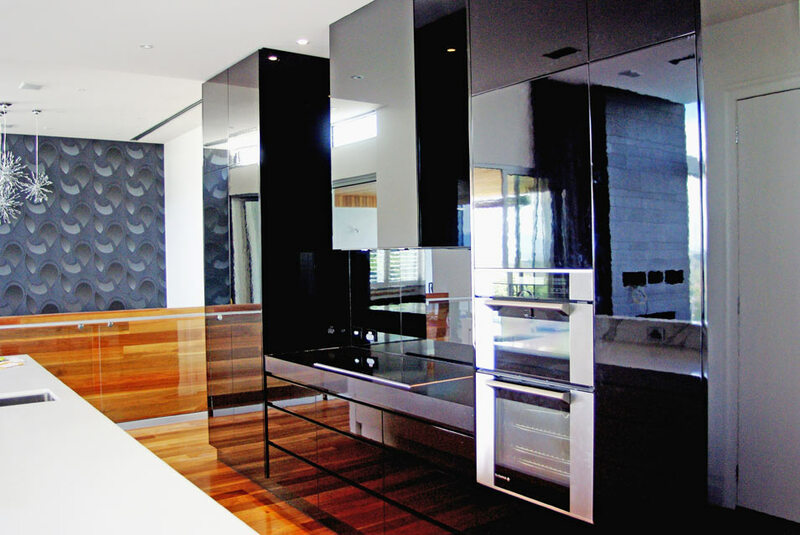 Our experience in shipping our famous line of frameless decorative mirrors has put us in good stead packing up & sending our splashbacks anywhere in Australia or overseas. 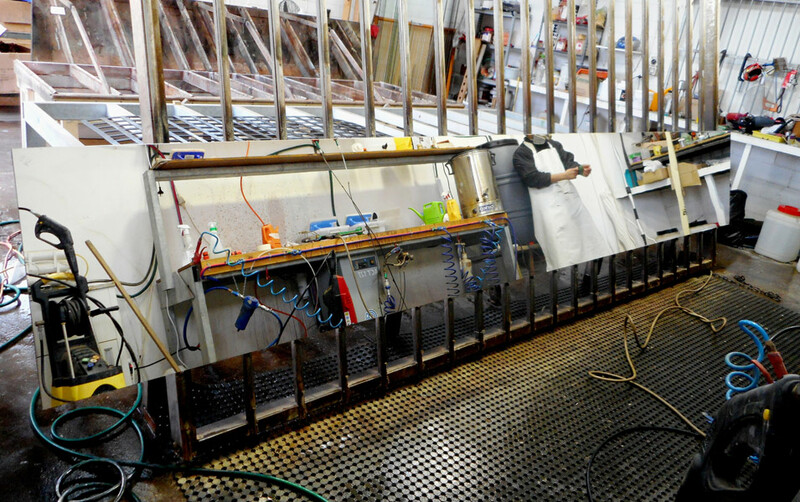 The Manhattan Mirror Co has a firm commitment to supply quality products at a most reasonable price. Every Florentine splashback is genuinely unique, no two will ever be the same. 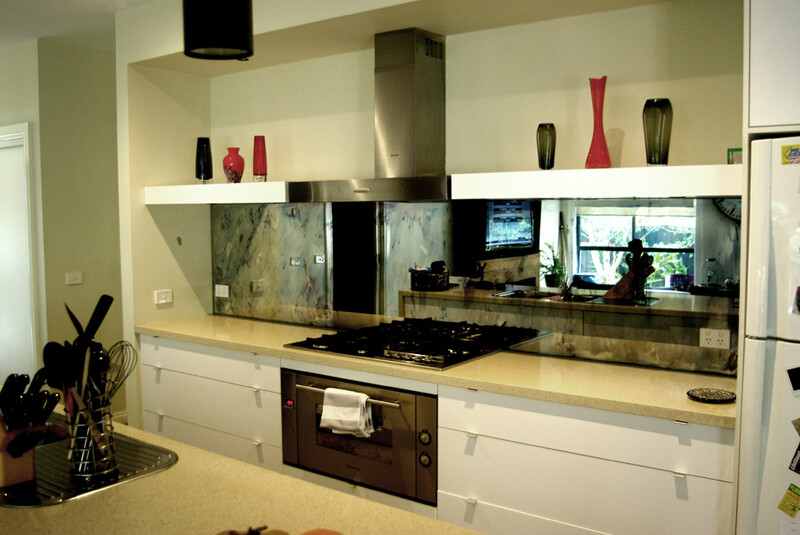 The popular new look for kitchen splashbacks is to have the range hood manufactured with toughened mirror. 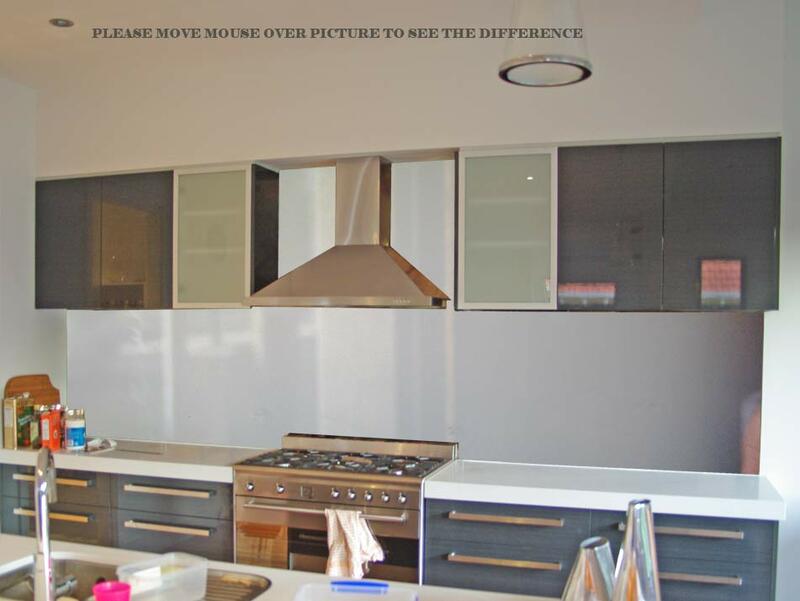 This splashback and range hood was manufactured in charcoal grey toughened mirror by The Manhattan Mirror Co.
721 Warrigal Rd Chadstone Vic 3148 Tel: 03 98077888 for an estimate for your kitchen. 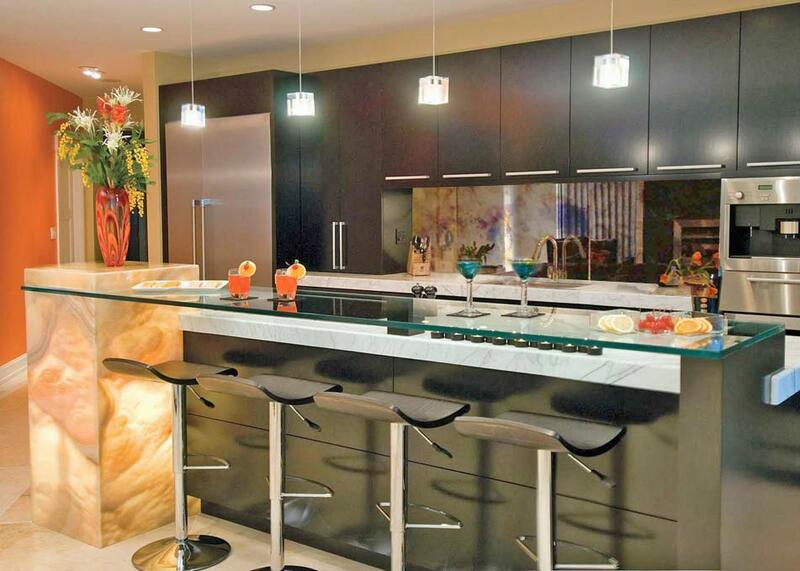 The Manhattan Mirror Co manufactures Florentine toughened mirror kitchen splashbacks. We deliver to Melbourne, Sydney, Brisbane, Adelaide and Perth. In fact anywhere in Australia and overseas. 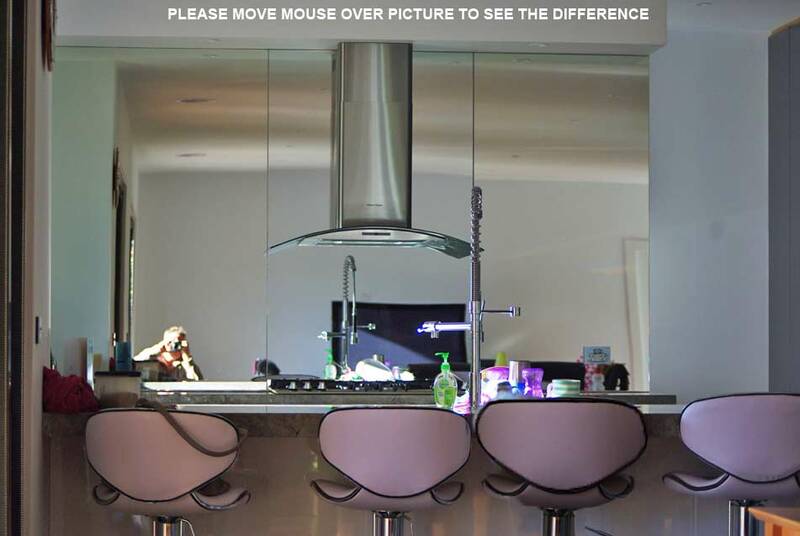 We can manufacture one piece 6mm toughened mirror splashbacks up to 5100 mm wide with no unattractive joins. Don’t listen to them tell you it can’t be done in one piece. 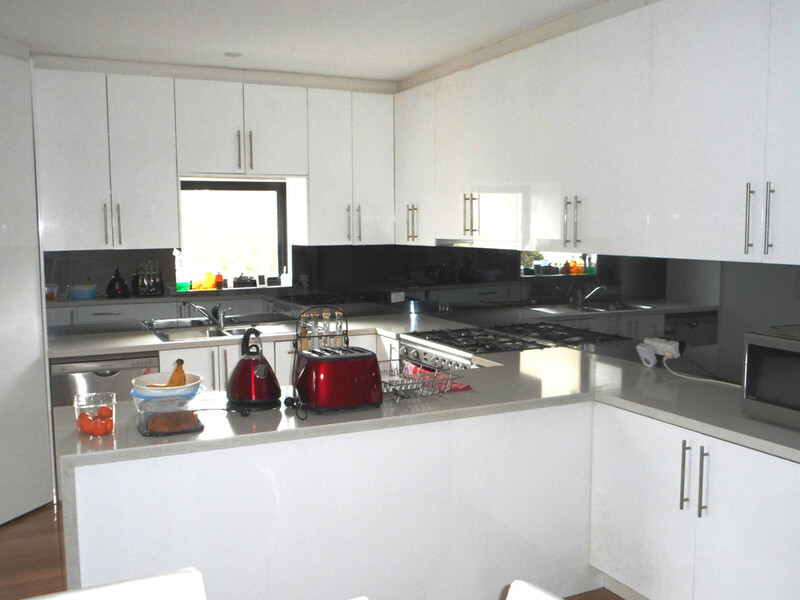 We use tough corrosion resistant chromium passivated silver on all our toughened mirror splashbacks. 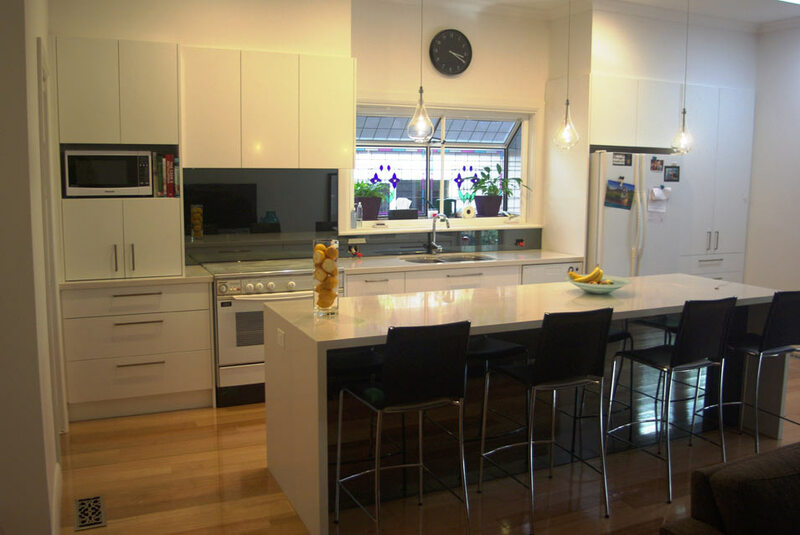 Kitchen designers, home renovators and new home buyers are increasingly moving away from brightly coloured kitchen splashbacks that "may soon look dated" , and are instead choosing more neutral combination. 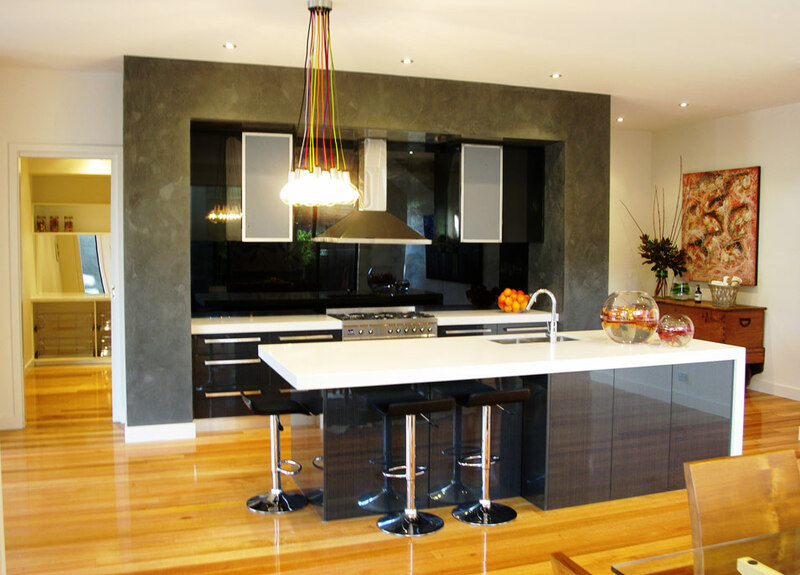 White overhead kitchen cabinets and Caesar stone bench tops,with a contrasting charcoal toughened mirror splashback are increasingly being specified by kitchen designers and architects. Florentine kitchen splashback with a heavy distressed / fauxed finish awaits paint. A freshly silvered 4950 mm long toughened charcoal mirror splashback getting prepared for it’s first coat of paint. 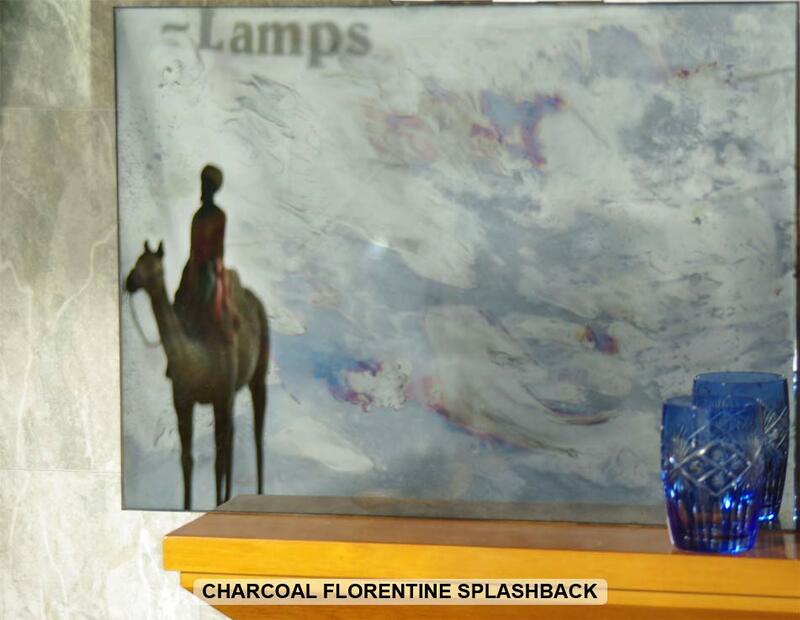 Lightly distressed Florentine toughened mirror, silvered on clear glass. 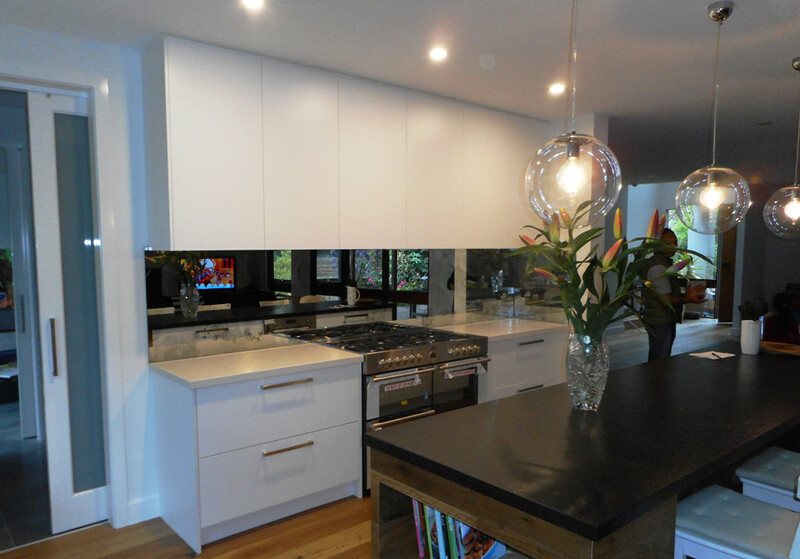 Melbourne’s longest one piece toughened charcoal mirror splashback nearly five metres long. Brighton. 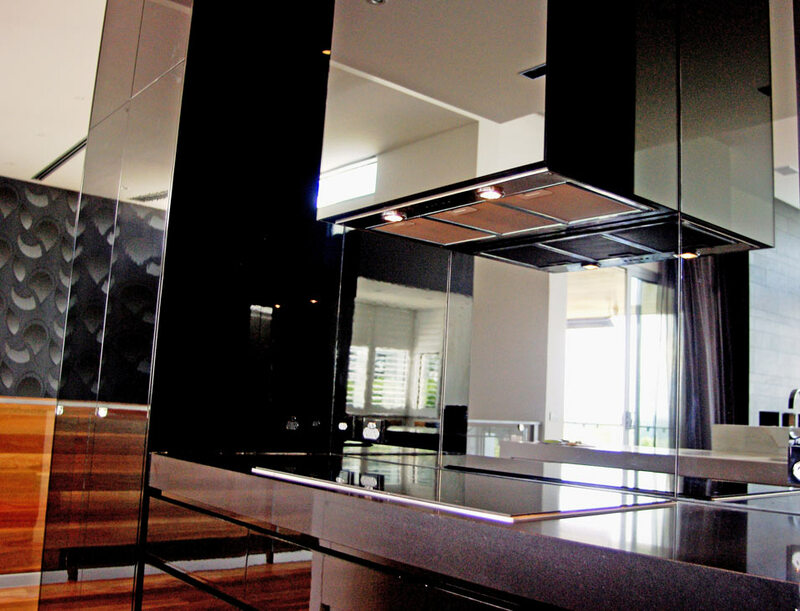 Manufactured and installed by The Manhattan Mirror Co.